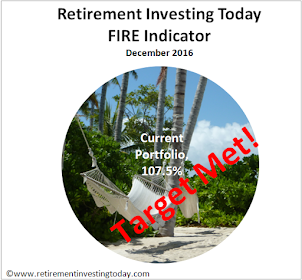 As this is the first post I thought I would give a little introduction as to what motivated me to start this blog looking at my own personal Retirement Investing. This is best done using the 5 W’s. 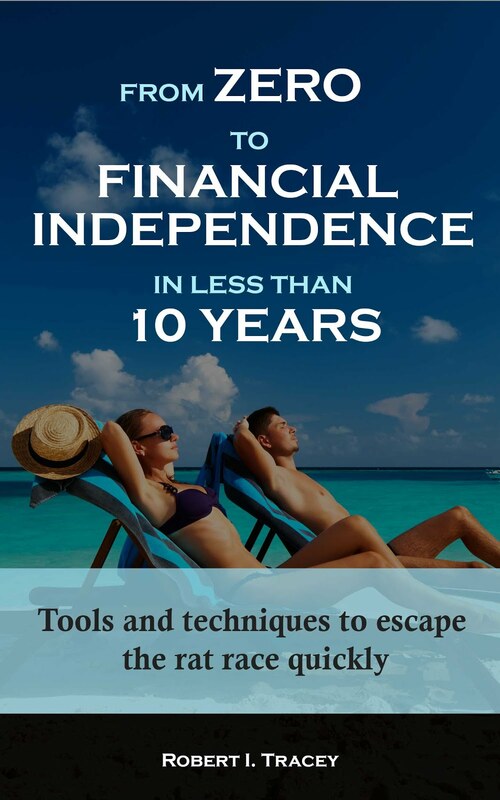 As my profile suggests I am a mid 30’s average Joe who became disillusioned with the Financial Sector in 2007. I currently live in the United Kingdom and so I will in due course use words like Pension’s and ISA’s as the blog develops. My investments will however be in many countries throughout the world so people from all countries should hopefully find it interesting. I was looking for a Financial Planner in 2007 and whenever I made my first contact I came across a massive behemoth of a building in a prime location that must have cost millions, a lovely foyer and people in very smart suits. I am sure these guys/girls add real value and help many people achieve their goals. However for some reason I could only think that it would be me paying for all of this. At about the same time I came across a book title called “Where are the Customer Yachts” by Fred Schwed. This had me thinking even more. When I started looking at possible investment opportunities the fees and charges just leapt out at me. 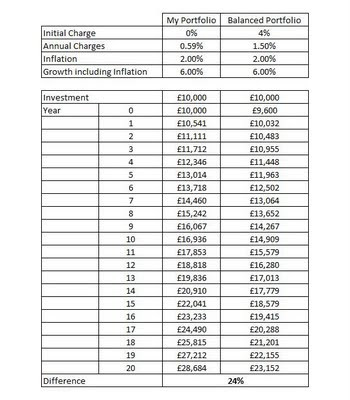 To demonstrate this have a look at the table below which demonstrates how fees and charges can affect your portfolio over time. I have assumed that inflation is 2% and the return including inflation is 6%. The fund on the left I have called My Low Charge Portfolio. I never buy any investments that have an initial charge and I am always looking to choose the best investment for the least annual charge in this case 0.59%. I chose this figure as it is my current annual charge on my total portfolio. The fund on the right is fictitious but is not unlike some Balanced Funds you can buy. It has initial charges of 4% and an annual charge of 1.5%. Over a 20 year investment period the difference is astronomical. My Low Charge Portfolio is 24% large than the Balanced Portfolio. This has been achieved doing nothing more than minimising charges.